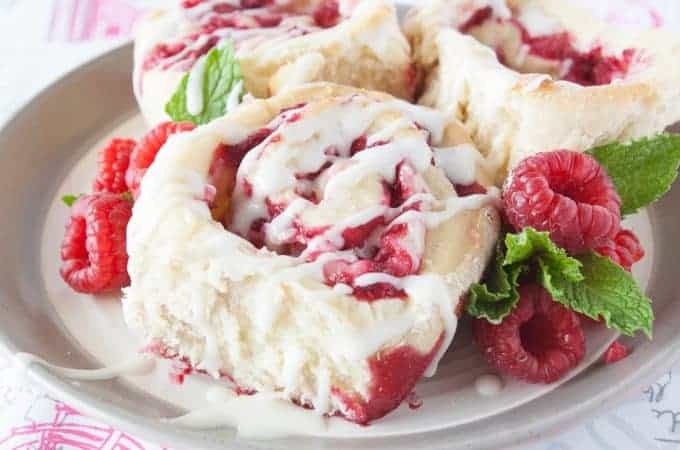 These tasty strawberry almond muffins are packed with fresh strawberries. Their natural sweetness makes these muffins something special! Fresh strawberries have been popping up in stores again recently. I like to make lots of things with fresh strawberries. I also really love muffins. I didn’t have a strawberry muffin type recipe so I decided it was time to create one. This recipe is what I came up with. My favorite muffins are almond poppy seed muffins. I thought that strawberries would really compliment the almond muffin-y part well. Turns out they do! 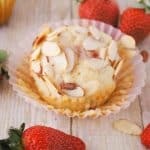 These strawberry almond muffins are quick and easy, not to mention absolutely delicious! Hope you like them! 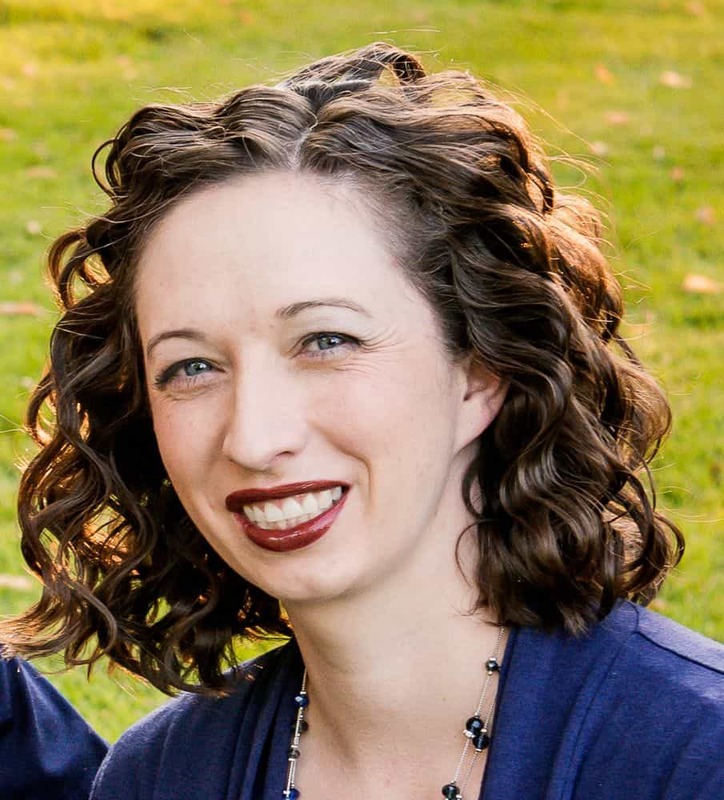 These are really easy! Preheat the oven. Line the muffin tins. Cream the butter and sugar. Add the eggs and extract. Add the baking powder, baking soda, and salt. 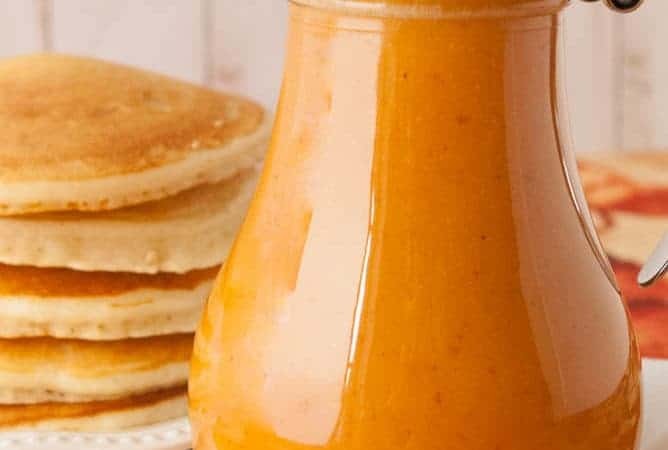 Now whisk the milk and sour cream together in a measuring cup and add it alternaltely with the flour in the following way. Add 1/3 of the flour. Add 1/2 the milk/sour cream. Add another 1/3 of the flour. Add the last 1/2 of milk/sour cream. 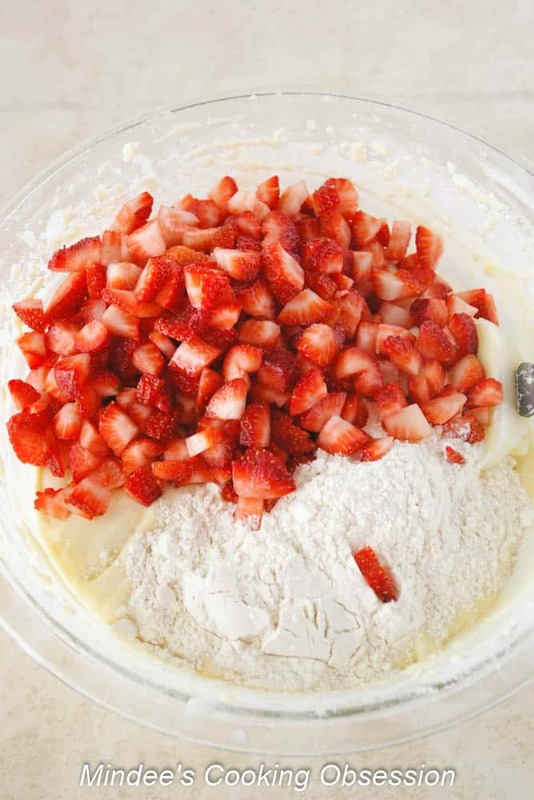 Add the 2 cups of strawberries with the last 1/3 of flour. Stir this last portion in by hand too avoid over mixing. Just fold it all gently until it comes together. 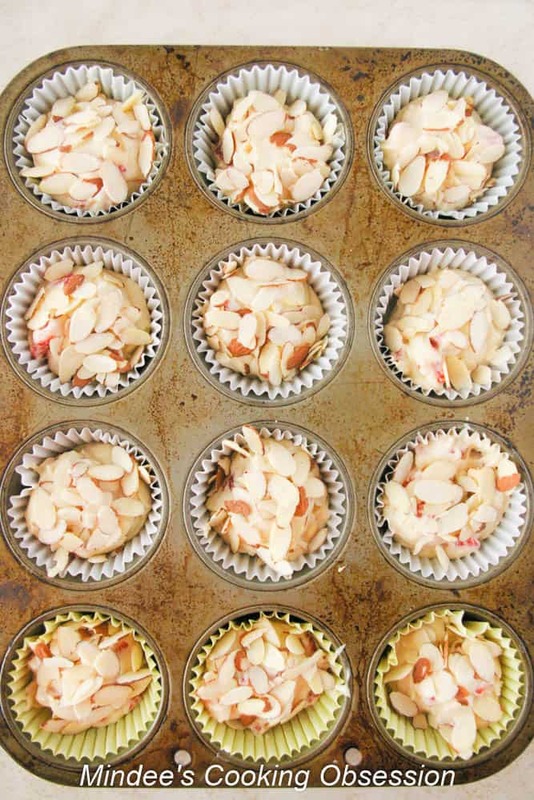 Divide the batter up amongst 20 muffin cups and top with the slivered almonds. Bake at 400 degrees for 17-20 minutes. A toothpick should come out clean! Cool and enjoy your strawberry almond muffins! 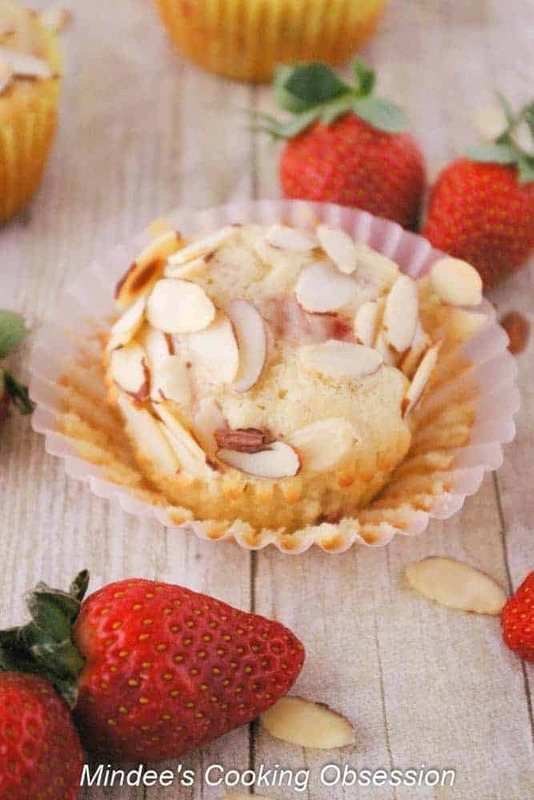 These tasty almond muffins are packed with fresh strawberries. Their natural sweetness makes these muffins something special! Preheat the oven to 400 degrees, Line 20 muffins cups with paper liners. Cream the butter and the sugar. Add the eggs and almond extract. Add the baking powder, baking soda, and salt. Beat well. Whisk together the milk and sour cream. Add alternately with the flour in the following way. Mix in 1/3 of the flour. Mix in 1/2 the milk. Mix in another 1/3 of the flour. Mix in the other 1/2 of milk. Add the 2 Cups of strawberries with the last 1/3 of flour and fold in by hand. Divide the batter amongst the 20 muffin cups. Top each muffin with slivered almonds. Bake at 400 degrees for 17-20 minutes. A toothpick should come out clean.